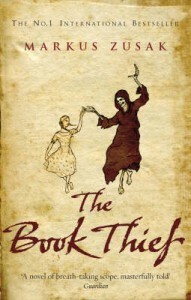 The Book Thief is narrated by 'Death' and it's about a girl, Liesel Meminger, who is abandoned by her sick mother to a foster family, the Hubermanns when her brother Werner died. She discovers something about herself that she can't resist books, although Liesel can't read and write, Hans Hubermann - her accordion playing foster father - taught her to read and write slowly till it became something Liesel can't live without. She has found books to be her only exit to her problems and a way to escape..
Liesel's family were poor, they couldn't afford her love for books so she has found a way to steal them. 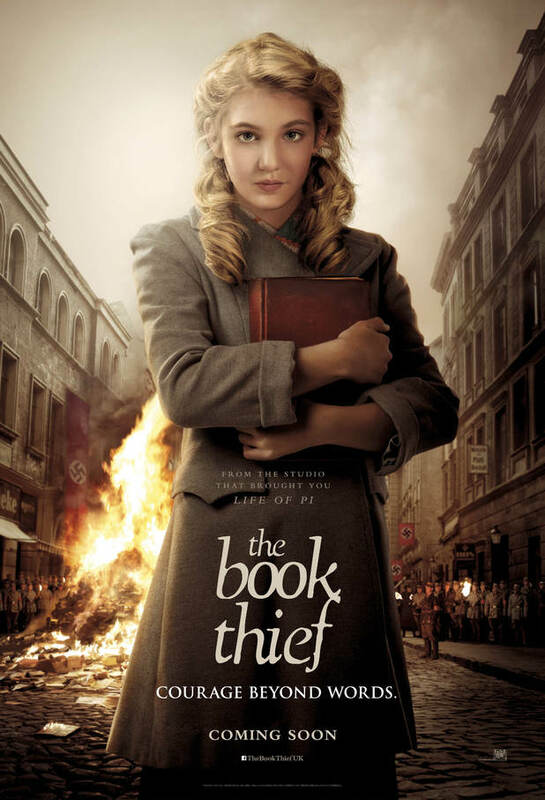 The book thief is in fact; Liesel Meminger. During such a hard time such as World War II, Germany has suffered dozens of bombings and raids, they would all cram up into a basement and Liesel would read to everyone. Her passion apparently soothes them, they forget themselves within the words of Liesel as she reads her favorite books to them out loud. The idea of books feeding the soul and easing the pain makes this book escalate to be a book-lover's favorite because it's true. Books really do bandage the pain, the power of words to make or to break is unbelievable. It also taught me that there is always some good in the bad, how to keep a promise and the power of love. Another thing I've loved about The Book Thief, is that it focuses on an era filled with cruelty and dictatorship; during World War II in Germany. Hitler and the Jews, a long-lived struggle that I had a few ideas about but this book cleared the picture for me and it taught me a lot. It makes you feel how the Jews were humiliated for being something that doesn't define who they are, it's just a small drop in an ocean of great qualities that they had and not noticed. The ongoing cruelty of anyone who is in such a position is never-ending. It has been an issue for thousands of years. Hunger, suffering and endurance are portrayed in this book in a way that breaks your heart. I've loved Markus Zusak's writing as well, he made me visualize every detail and feel the pain of the weak. I give this book 5 stars, I wouldn't change anything about it. I recommend this to everyone, such a breath-taking read.